The NYC Talon Best in Beauty Giveaway! Ends 7/16! 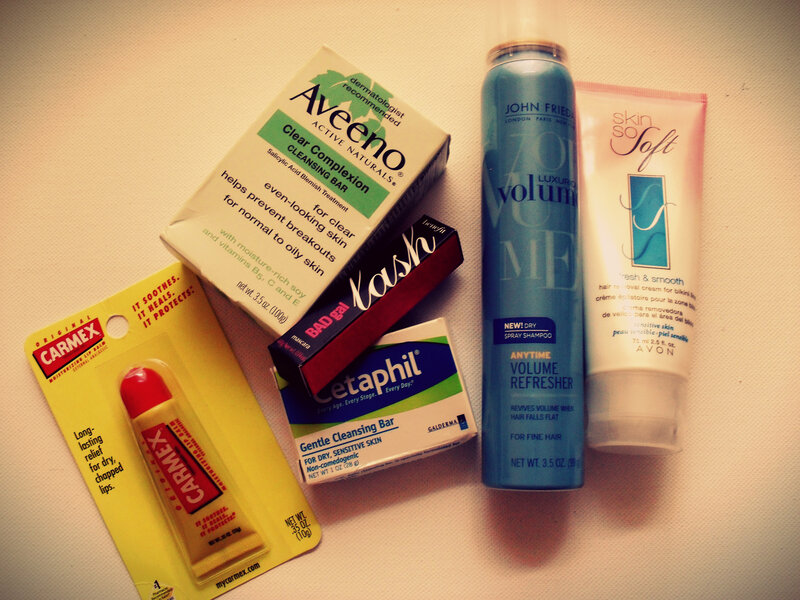 One Carmex lip balm (.35 oz tube), one Cetaphil non-comedogenic Gentle Cleansing Bar for dry sensitive skin (1 oz), John Frieda Dry Shampoo Anytime Volume Refresher for fine hair (3.5 oz), Skin So Soft Fresh & Smooth hair removal cream for the bikini line (2.5 oz), Aveeno Active Naturals Clear Compleion Cleansing Bar for clear even-looking skin (3.5 oz), and a deluxe sample size of benefit BAD gal lash mascara. 4. Comment on any other post, and remember to come back and let me know you did! * This giveaway starts on 7/02/12 and ends on 7/16/12 at 12 midnight. Sorry, only open to the US! I didn’t receive any compensation whatsoever for this giveaway, products and shipping come at the expense of the blogger (me!). Previous Post Bloggers Toolbox: Photography! Follow u on twitter here! I just subscribed as damezane@hotmail.com! Left a comment on your Bloggers Toolbox – Photography post. Lots of great resources! I subcribed to the email. I shared this on Twitter, https://twitter.com/jenimadison/status/225048513132765187. I am following you on Pinterest, http://pinterest.com/jenimadison/. I commented on the Free Local Beauty Events blog post. Thanks for sharing the site freebeautyevents.com – can’t wait to be able to use it and find all those free events I’ve been missing out on!